Simplifies Wi-Fi Planning & Installations for A/V Pros in Luxury Homes to 7,500 Sq. Ft. The PROAV17503 Wireless Indoor Solution supports multiple connected home devices at speeds to 1,750 Mbps. 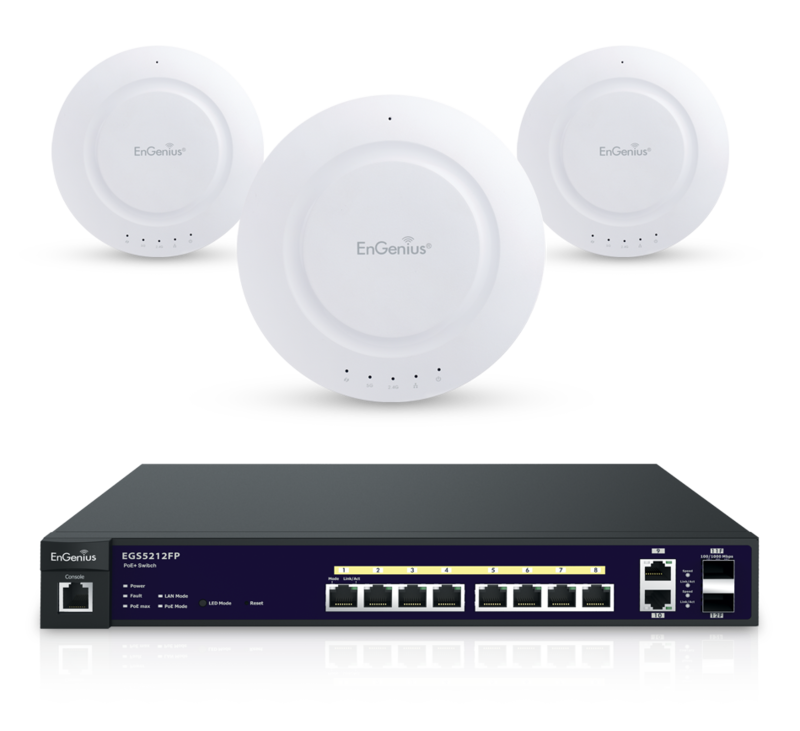 It includes three (3) ceiling-mount APs with internal, sectorized, 5 dBi, 360° antennas and an 8-Port 802.3at/af PoE switch that eases deployment. Simplifies Wi-Fi installations by supplying all hardware (minus cabling).